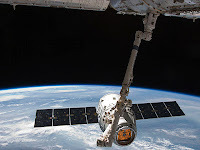 Two weeks ago SpaceX made history by successfully sending its Dragon spacecraft to the International Space Station (ISS) and returning it safely to Earth. Like so many others, I was glued to NASA TV throughout the critical mission phases watching as history unfolded. This marks a real turning point in the commercial development of low Earth orbit. Although this was a cargo demonstration mission, it will pave the way for manned flights in both the private and public sectors, which is good news for NASA astronauts since they need a ride to the ISS. 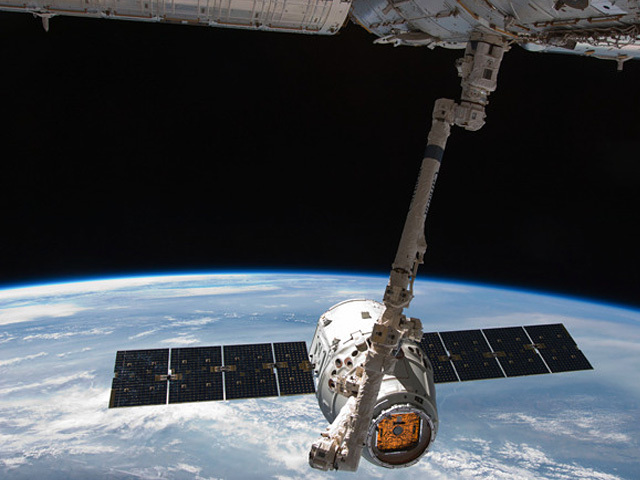 "Dragon took one giant leap last week in restoring an American path to space." That's what Astronaut Tom Jones had to say in a recent Popular Mechanics article. For an even more in depth, personal take on aspiring to be an astronaut during this transitional period in spaceflight, check out my recent 4-part Moonandback video interview. Other recent media articles and appearances, including two new guest spots on The Space Show, are listed on my media page. So, now that we know NASA astronauts will have options for getting to space and aren't going extinct anytime soon, what about the current selection cycle? Like the other 6,372 applicants to NASA's current astronaut selection opportunity, I received a postcard in the mail from NASA in May confirming receipt of my application. This is the second highest number or applicants the space agency has ever received, which is quite remarkable considering NASA no longer has an operational spaceship of its own. Due to the high volume of applications, the Astronaut Selection Office has amended its timeline to allow for more time determining the Highly Qualified applicants. The schedule seems to have slipped by about two months from their original timeline. While I was in Houston a few weeks ago, I met with Astronaut Selection Manager Duane Ross at the Johnson Space Center. I thanked him personally for the December webinar on astronaut selection, and we discussed general aspects of the current selection cycle. Mr. Ross confirmed that they had narrowed down the pool to about 4200 Qualified applicants. That means more than 2000, or about 34%, of the applicants did not meet the minimum qualifications. I asked if that was a high number, and he said it is the highest percentage of unqualified applicants he can recall in a selection. We guessed that perhaps the ease of the USAJOBS application process contributed to the higher number of unqualified applicants. Maybe the inspirational things companies like SpaceX are doing helped boost the numbers too. However, 4200 Qualified applicants is still a large number, and that means it will take extra time for the selection board to review all of the application materials. Mr. Ross said they are aiming to cut this by about 90% to arrive at 400 Highly Qualified applicants by September. He also said that they are planning on choosing 15 ASCANs (the maximum of the 9-15 range previously reported). This is due to the need to operate the ISS and the fact that there has been a lot of attrition in the astronaut corps recently. Speaking of stats, someone posted on the Astronaut Hopefuls Facebook page the following information on numbers of military applications forwarded to NASA: 162 from the Navy, 111 from the Air Force, 72 from the Army, and 4 from the Coast Guard. The Marines and NOAA Corps skipped having their own internal boards this cycle and allowed their officers to send applications directly to NASA. Good luck to all applicants, and remember you can still submit updates to the Astronaut Selection Office to include in your file. I'll leave you with an absolutely stunning time-lapse "Star Trail" photograph taken by Astronaut Don Pettit on the ISS. 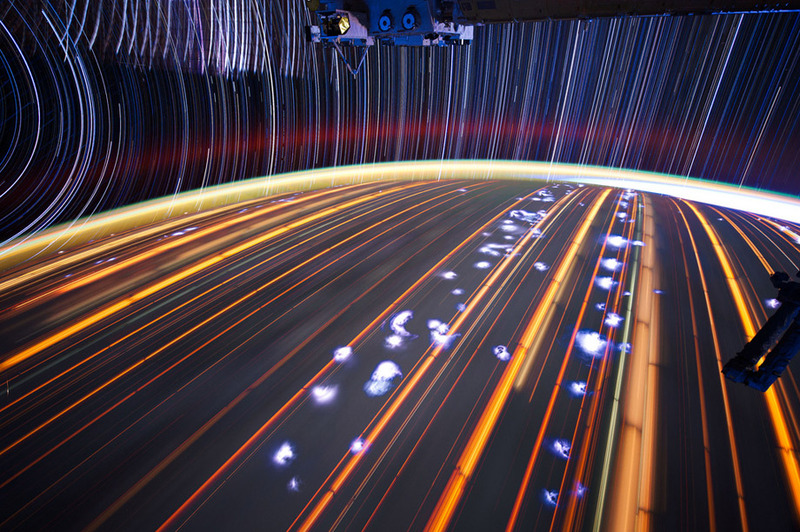 Click over to flickr to see all of his other mesmerizing star trail photos. Thanks! I've been waiting for this update!